« Where is Kamala Harris on this Mario Woods killing? Robert Baer just made an incredibly important admission that for me comes way too late, but still it’s good to know. The former CIA officer admits he was given millions of dollars which he used successfully to bribe politicians in Yugoslavia to betray their country’s interest. Robert Baer describes how the US brought democracy to Yugoslavia by destroying it. Of course, this policy financed by my tax dollars, didn’t benefit me or my next door neighbors; but certain individuals in both the US and Yugoslavia benefitted handsomely from the gambit. Oops, too bad about those hundreds of thousands of lives; too bad about Srebrenica. So, now, Robert Baer is trying to make amends, of sort, by exposing the whole affair. Therefore, it is with this backdrop in mind, that I want to explore how US policy can hurt multitudes of people, yet benefit a small clique, and so, be deemed “successful.” US policy in Yugoslavia literally wiped the country off the map. If you are not a peace and justice kind of person, it could be said that the US policy to destroy that country was effective and successful, despite the tremendous loss of life that resulted. And now, the US is attempting to bring “democracy” to Haiti. Haiti is currently in the midst of an electoral crisis because the US wants to dictate who the next president will be. In 2010, Secretary of State Hillary Clinton interfered in Haiti’s election results denying the people their right of self-determination. According to the previous (and now current) head of Haiti’s Presidential Electoral Commission (EC), Pierre Louis Opont, the EC had prepared election results to be publicized; those results were passed on to Cheryl Mills, the Chief of Staff of then-Secretary Clinton. But, instead of announcing the two winners, who would then compete in a runoff, Mills announced a completely different result. Opont and the remaining Commission members were shocked, but said or did nothing at the time and allowed the fraudulent result to stand. In July 2015, Opont went public with the saga, just as Haiti was about to commence its Presidential campaign for 2015. Needless to say, the US-backed Michel Martelly, an entertainer known onstage as “Sweet Mickey” went on to ‘win’ the Haitian election, defeating Jude Celestin, who had the backing of outgoing President Rene Preval, a Jean-Bertrand Aristide ally. Democracy denied. During the 2010 election, the US State Department had made comments like Celestin “was too close to [Venezuelan President Hugo] Chavez.” The US government took it upon itself to deny democracy to Haitians because they had voted for a Chavez ally to lead them. Well, Hugo Chavez is no longer an issue, nor is the Bolivarian Republic of Venezuela, which just handed Chavez protégé President Nicolas Maduro a crippling blow in Parliamentary elections on December 10, 2015. Meanwhile, it was later revealed that Secretary Clinton had awarded, through the United States Agency for International Development (USAID) a $100,000 donation to an organization that supported Clinton’s choice for President, Martelly. 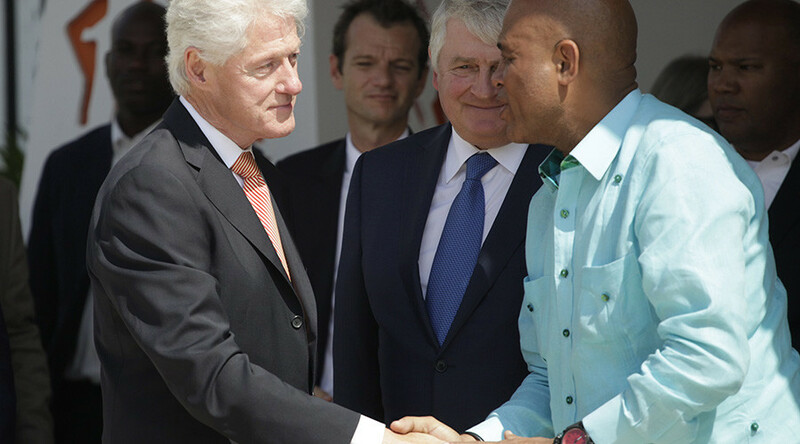 After his inauguration, one of Martelly’s favorite slogans was “Haiti is open for business.” For the then-Secretary of State that proved to be an understatement. First, there was the revelation that Tony Rodham, the Secretary’s brother, was awarded a contract to mine Haitian gold. Tony Rodham has no special insights into gold mining except that he is Hillary Clinton’s brother. Moreover, the Haitians have refused to mine for more gold because they have steadfastly demanded the return of their gold bullion, taken for “safe keeping” by the US in 1915. The US militarily occupied Haiti until 1934, but maintained economic control over the country. 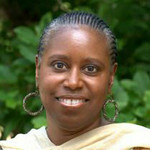 It is this economic control over Haitian resources that is at the center of the Haitian struggle for self-determination. Now, Secretary Clinton is running for President of the United States, but has yet to answer the question of how her brother came to gain a gold mining contract in Haiti during her tenure at the State Department. Her official answer is that she doesn’t know. 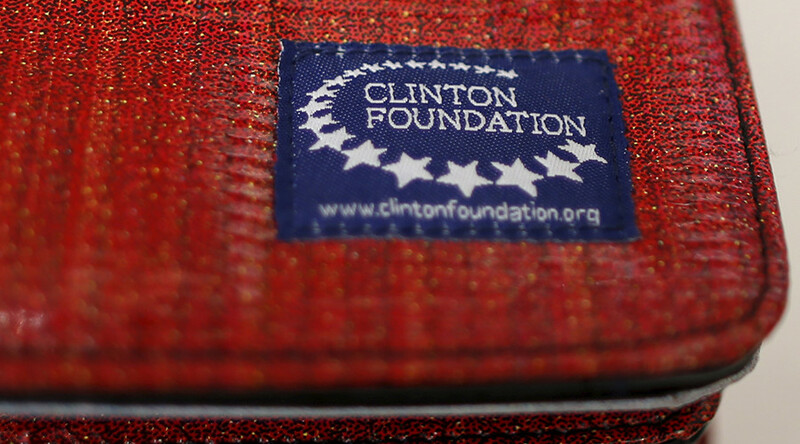 More recently, another revelation has come to light of the Clinton Foundation having a for-profit peanut business in Haiti. Acceso Peanut Enterprise Corporation, known as Acceso Haiti, is a project of the Clinton Foundation and Canadian mining magnate, Frank Giustra. Candidate Clinton has yet to be asked about her investments in Haiti that have spawned from the 2010 changed election results. In addition to finding gold in peanuts, as “Sweet Mickey” is on his way out of the Haitian Presidency (the Haitian Constitution prohibits Presidents to succeed themselves), yet another Clinton Foundation donor was awarded a contract in Haiti. In October 2015, President Martelly awarded an Israeli company, HLSI, the right to secure Haiti’s land and sea borders. Now, with the prospects of having yet another election stolen, the people of Haiti have erupted to protect their right of self-determination and, moreover, to protect their resources from more Clinton pillage. This Haitian struggle for independence and dignity today is as important for this small Caribbean country as was a similar struggle that resulted in the Haitian Revolution in 1804. Recognizing that the situation could easily slip from their control, the US Embassy called Presidential candidate Jude Celestin in for “consultations.” The result was that Celestin got up and walked out of the meeting. He declared at the time, “I am not a dealer, I am a leader.” Celestin, however, did not reveal the contents of the “deal” that was discussed. There certainly is enough on the table. But, the US Embassy should not be in the position of protecting ill-gotten gains of US Presidential candidates against the will of the people in the affected country. Jude Celestin has already had one election stolen from him by the Clintons; but this time, he has forged a relationship with the other candidates. They call themselves “the G8.” So far, the G8 have held firm and called the Presidential election, Round One, fraudulent and they will not recognize any election outcome announced by the already-tainted Presidential Election Commission without an independent investigation of the allegations of fraud. The US Embassy has not been able to peel away individual candidates who form the G8. On a recent trip to the country, Ambassador Kenneth Merten came away empty-handed. Now, a special delegation from the United Nations is on the ground in Haiti trying to fix this mess because neither the US nor the Organization of American States has been able to move the G8 from its united position. Today, the G8 remain united in their call for an investigation of the election fraud that marred the first round of the Presidential poll. The US brought democracy to Yugoslavia and it no longer exists. The US has spent $5 billion according to the State Department bringing democracy to Ukraine and today Ukraine is in turmoil. In the end, neither the people of Yugoslavia, nor the people of Ukraine have benefited from US democracy. And so it goes with the people of Haiti. But the list of non-Haitians who benefit from US “democracy” is long, indeed. And the Clinton Foundation family and donors top this list. This entry was posted on Wednesday, January 20th, 2016 at 1:55 pm	and is filed under Other Articles. You can follow any responses to this entry through the RSS 2.0 feed. Responses are currently closed, but you can trackback from your own site.